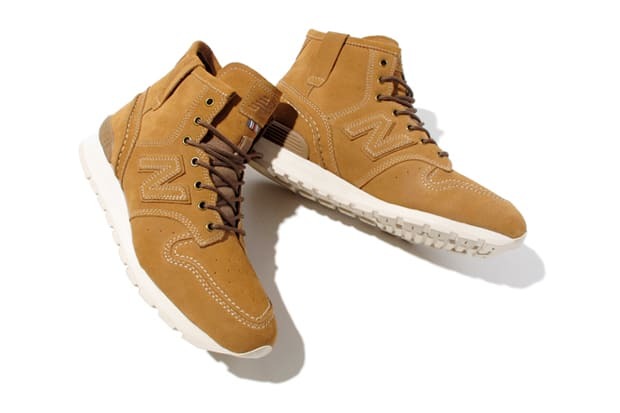 New Balance A08 Engineer Boots "Tan" - "Blue"
The New Balance A08 "Engineer" takes on the New Balance running look and blends that style with the functionality of a boot. The midcut look takes on a suede upper with a white rubber rugged sole. Each pair has red, white, and blue stitching on both the tongue and upper heel. Both colorways are available now through Japanese retailer Mita.